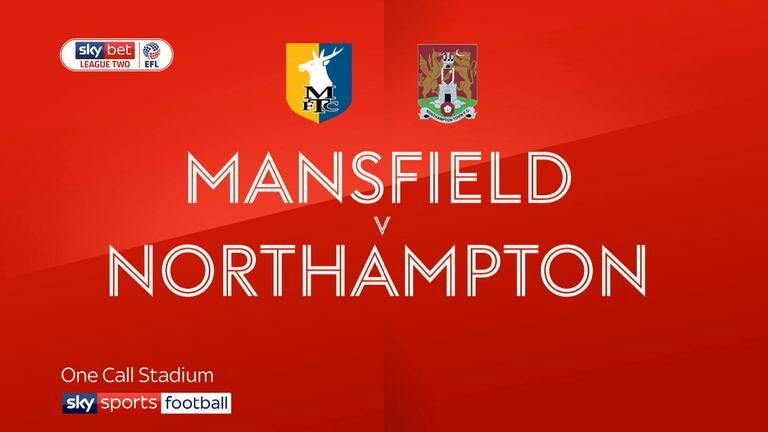 Highlights of the Sky Bet League Two game between Mansfield and Northampton. A superb second-half display saw Mansfield claim a 4-0 home victory over Northampton. A brilliant early solo effort by Timi Elsnik saw Mansfield leading at the end of a poor first 45 minutes, but they took complete charge after the break with a brace from Danny Rose either side of a CJ Hamilton goal. 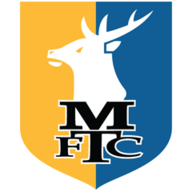 Mansfield made a flying start as Elsnik broke almost the length of the pitch to give them a fifth-minute lead on his Stags league debut. Rose headed away Northampton's first corner and the on-loan Derby midfielder raced away down the left before netting off the inside of the far post with a low left-footed finish from 18 yards. Two minutes were added at the end of a disappointing half in which Kevin van Veen finally forced Bobby Olejnik into a save. Then David Cornell had to make two fine successive saves to deny Elsnik and Matt Preston. It was all Mansfield after the restart with Otis Khan (twice) and Tyler Walker going close before Rose deservedly made it 2-0 in the 57th minute. His persistence saw him win two challenges on the right before he pipped Cornell to the ball and rolled his shot home from a tight angle. 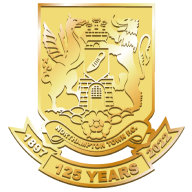 Hamilton added a third eight minutes from time, sliding the ball under Cornell at his near post from Rose's pass, before Rose completed his brace in the 87th minutes when he turned home a low Hamilton cross from the right from 10 yards.